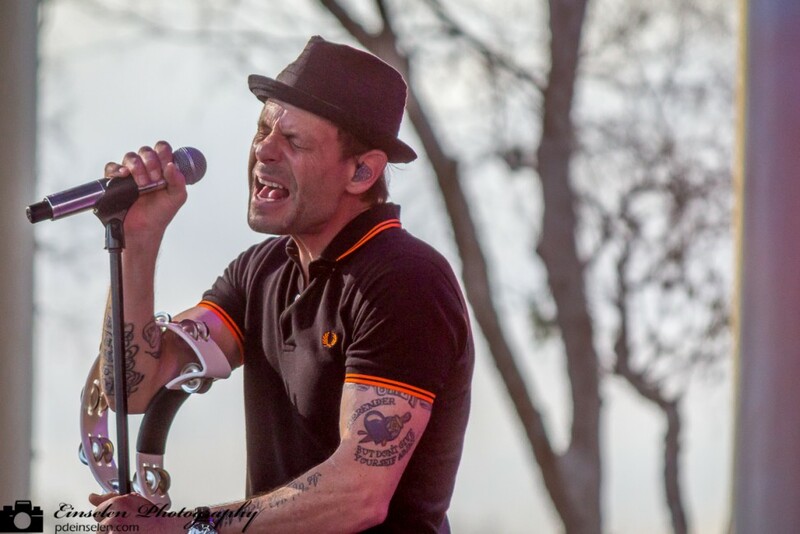 We arrived about an hour before showtime to capture this photo of Robin Wilson, lead singer of Gin Blossoms during a performance at EPCOT’s Flower Power Concert Series during the Flower and Garden Festival. We were seated in the second row to the right of center stage and I had both cameras ready, T3i and T5. Each camera had a different lens to allow for both wide stage shots or zoomed close-up shots. Wilson replaced Richard Taylor as guitarist of Gin Blossoms in 1988, but switched places early on with vocalist Jesse Valenzuela. He remained a member of the band until their breakup in 1997, during which time the band came out with two albums. Their hit debut album New Miserable Experience went double platinum and featured singles “Hey Jealousy”, “Found Out About You”, “Mrs. Rita”, “Until I Fall Away”, and Wilson’s “Allison Road”. Their next album, Congratulations I’m Sorry, which went platinum, featured singles “Follow You Down”, “As Long as it Matters”, “Not Only Numb”, and “Day Job”, as well as Wilson’s “Highwire”. After the breakup of Gin Blossoms, Wilson was the lead vocalist and songwriter for the band Gas Giants, which also included guitarist Dan Henzerling and former Gin Blossoms drummer Phil Rhodes. He also contributed vocals for The Longshadows albumSimple Minded Way. Wilson runs his own studio Uranus Recording in Tempe, Arizona, which he opened in 1994. When the Gin Blossoms reunited in 2002, Wilson began touring with the band as well as recording the album, Major Lodge Victory, that was released on August 8, 2006 and featured singles “Learning the Hard Way” and “Long Time Gone”.